The $45 bln Evergrande and peers reported bumper earnings for last year despite slowing overall sales. Home prices are rising, debt is stabilising and policy seems friendlier. Shareholders could relax, were developers not also plowing into electric cars and robots. A labourer (R) gestures to his colleague outside their dormitory at a residential construction site of Evergrande, near a wall painted with the company logo, in Guangzhou, Guangdong province June 22, 2012. 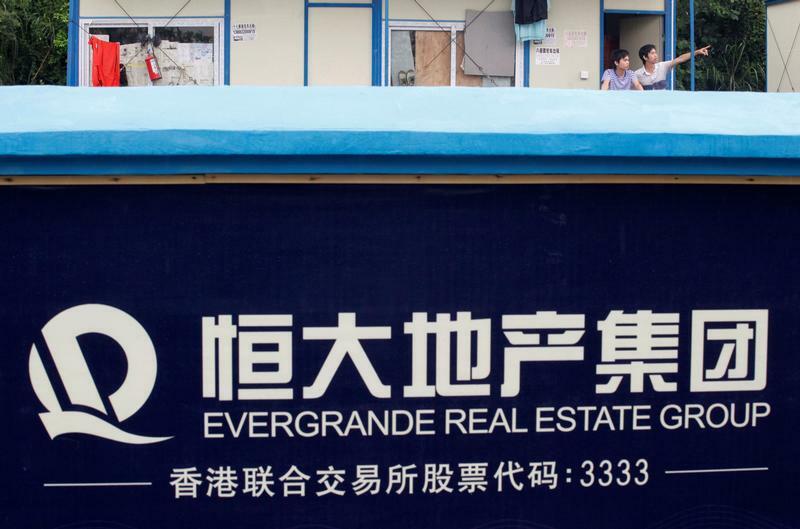 China Evergrande Group said on March 26 that profit attributable to shareholders increased 53 percent last year to 37.4 billion yuan ($5.6 billion). Core business profit, a measure that excludes revaluation gains and non-recurring items, rose more than 90 percent to 78.3 billion yuan. China Vanke said on March 25 that net profit attributable to equity shareholders rose more than 20 percent in 2018 to 33.8 billion yuan. Country Garden Holdings, another developer, reported on March 18 that profit attributable to owners rose 33 percent year-on-year to 34.6 billion yuan over the same period.